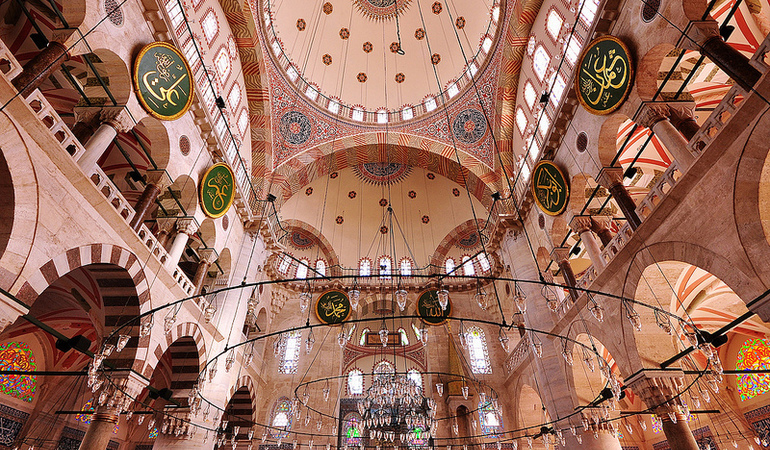 Mimar Sinan (1489-1588) -without doubt- was the most important Ottoman architect. 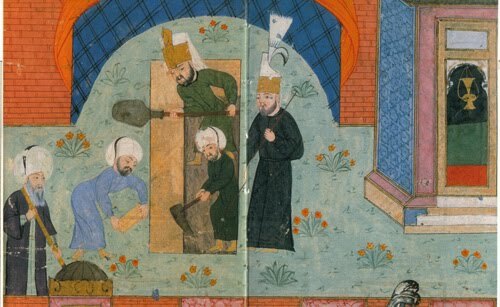 In the sixteenth century he built or supervised hundreds of structures in every corner of the Ottoman Empire including mosque complexes, hamams (Turkish bath), bridges, hospitals, madrasas (religious high school), tombs, and many others. Patrons of these structures were either imperial family members or high-ranking officials such as Grand Vizier, Harem Agha, Shaykh al-Islam (Sunni Islam Religious Leader), and Kaptan-ı Derya (Grand Admiral). Among Sinan’s works in Istanbul, there are two mosque complexes (külliye) commissioned by two different Kaptan-ı Derya (Grand Admiral): Sinan Paşa Mosque and Kılıç Ali Paşa Mosque. Built by famous architect Mimar Sinan in 1555, the Sinan Paşa Mosque (Sinan Paşa Camii) is an Ottoman mosque complex (külliye) located in a densely populated neighborhood of Istanbul, Beşiktaş. Sinan Paşa Mosque is also called Beşiktaş Mosque and it is one of the most underrated Ottoman mosques in Istanbul since it is situated in one of the busiest districts of Istanbul. The mosque was commissioned by Sinan Paşa in 1550, who was the grand admiral (Kaptan-ı Derya) of the Ottoman navy between 1550 and 1553. Before the construction of the mosque, Sinan Paşa died in 1553 and he could not see or buried his own mosque. 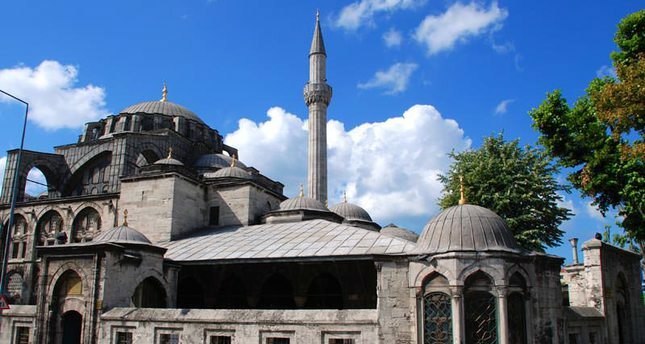 The mosque was built as a mosque complex (külliye) including a mosque, madrasa (religious high school), mekteb (primary school), and hamam (Turkish bath); however, today only mosque and madrasa are surviving. Other structures belonging to the mosque complex were destroyed in the 1950s due to road constructions. The plan of the Sinan Paşa Mosque is rectangular in shape with a dome in the center and two small domes on both sides of the main dome. This architectural feature of the mosque is very similar with early Ottoman mosque architecture. Nevertheless, the dome of the mosque is supported by a hexagonal inner structure and this is the most important and unique characteristic of the mosque. 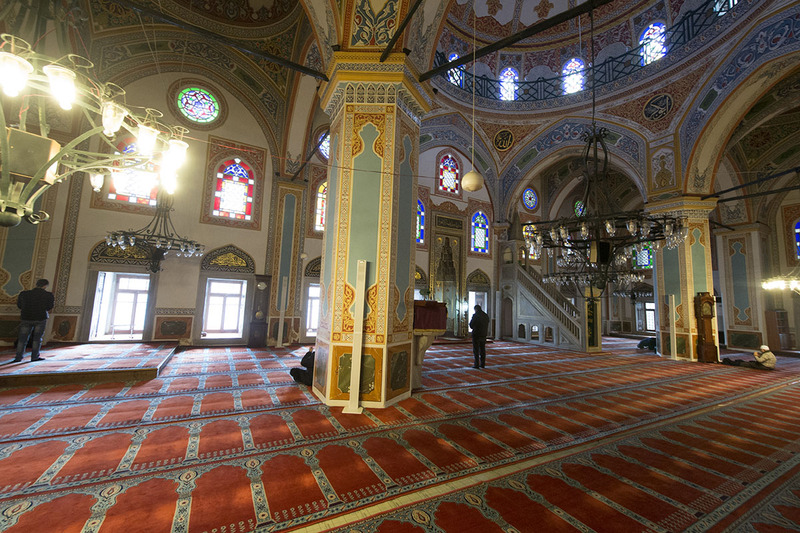 Compared to other mosques built by Mimar Sinan, interior of the Sinan Paşa Mosque is less decorated because of untimely loss of Sinan Paşa during the construction of the mosque. For long years the mosque was under restoration and it was re-opened in 2014. 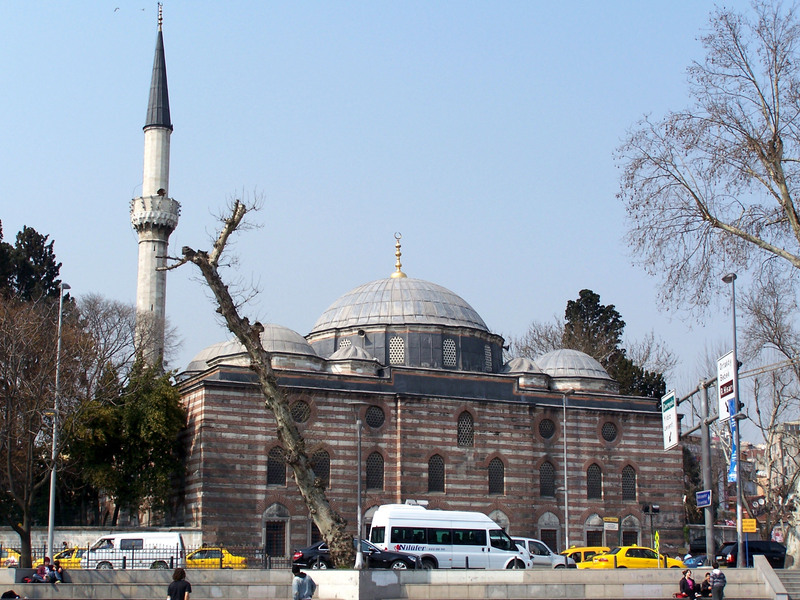 TIP: Istanbul Naval Museum is just across the Sinan Paşa Mosque! Commissioned by the eponymous Kılıç Ali Paşa, an ambitious 16th century Italian privateer who converted to Islam, and was named Uluç Ali Reis. He rose up the ranks from slave to captain of his ship, later going on to become the Kaptan-ı Derya (Grand Admiral) of the Ottoman navy. The name kılıç (sword) was conferred upon him on his appointment. Rumours have it that, when he announced he would endow a mosque, his rival, the Grand Vizier Rüstem Paşa (who commissioned Rüstem Paşa Mosque), said that, “Since he is the admiral, let him build his mosque on the sea.” The ever-determined Kılıç Ali Paşa simply had an artificial island built in the Bosphorus strait, and the mosque went on top of that (The later creation of the modern port, means the mosque is now well inland). Although designed by Sinan almost as a replica of the Hagia Sophia, the mosque is still a fine example of Ottoman Islamic architecture, decorated with some beautiful Islamic art including calligraphy and tiles. The Kılıç Ali Paşa Mosque Complex (külliye) includes a madrasa (religious high school), tomb, a fountain, and a hamam (Turkish bath). Kılıç Ali Paşa Hamam has recently undergone extensive restoration and functioning. Today, Kılıç Ali Paşa Hamam is the height of luxury, offering a chance to get scrubbed in true, Ottoman style.